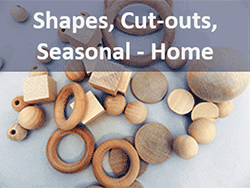 Our cut-outs made from solid hardwood. 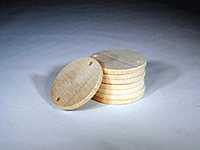 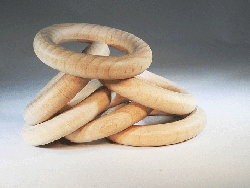 Fantastic selection and low prices on wooden circles (also known as wood nickels or wood discs). 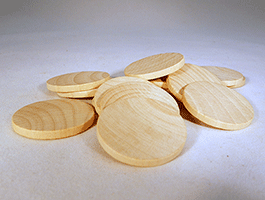 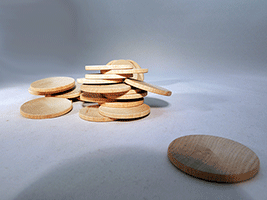 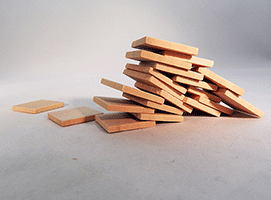 Scroll below for selection and wholesale pricing on wooden discs and wooden squares. 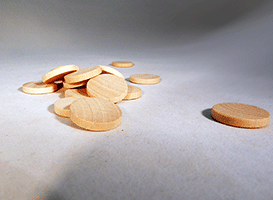 Bear Woods customers love our wooden discs and tiles. 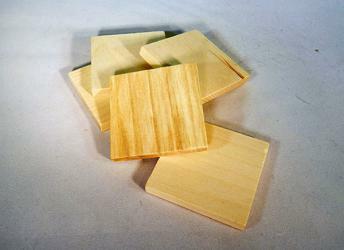 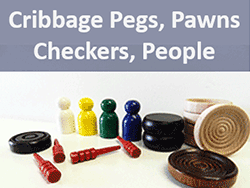 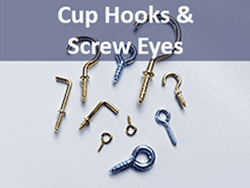 We supply tens of thousands of them for wood craft projects, games, photography, and more. 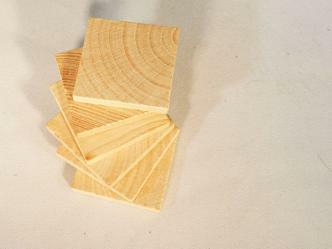 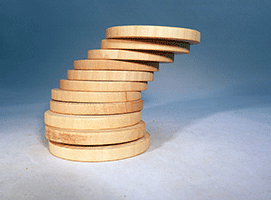 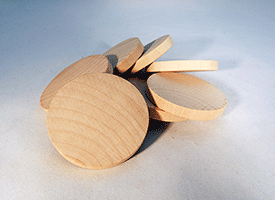 2) For more popular wooden cut-outs and bases, visit our woodcraft supplies page. 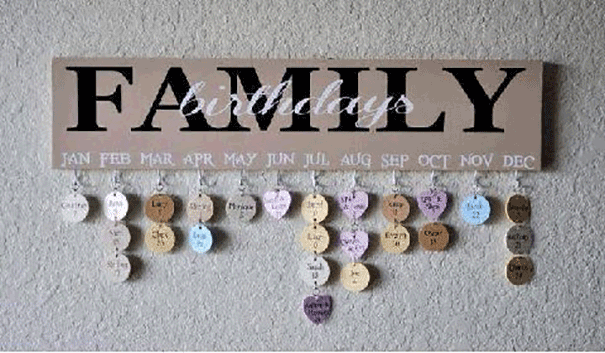 3) We have a great selection of cup hooks and screw eyes to attach to your wooden discs or hearts to make a sign like the one shown. 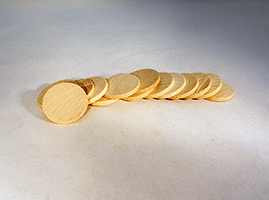 Board Game Designers' Dream -- 05/10/2017 Exactly what I wanted and could not be happier. 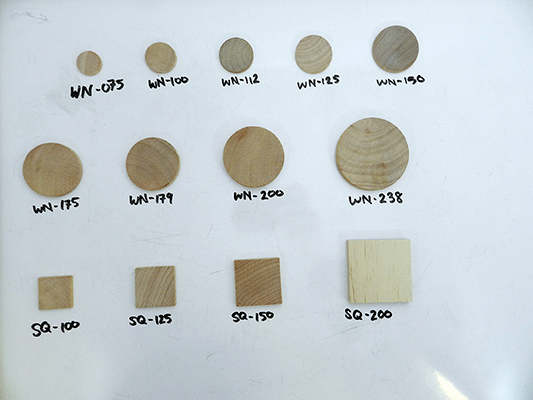 Uniform thickness and color, clean edges, and sufficient quantity for me to stain into multiple colors and still have enough for several prototype iterations. 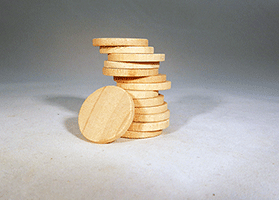 Discs would be right at home in any high production values board game. 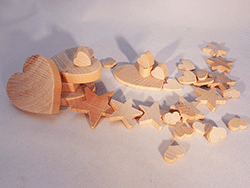 Thank you, Bear Woods!-- David D.